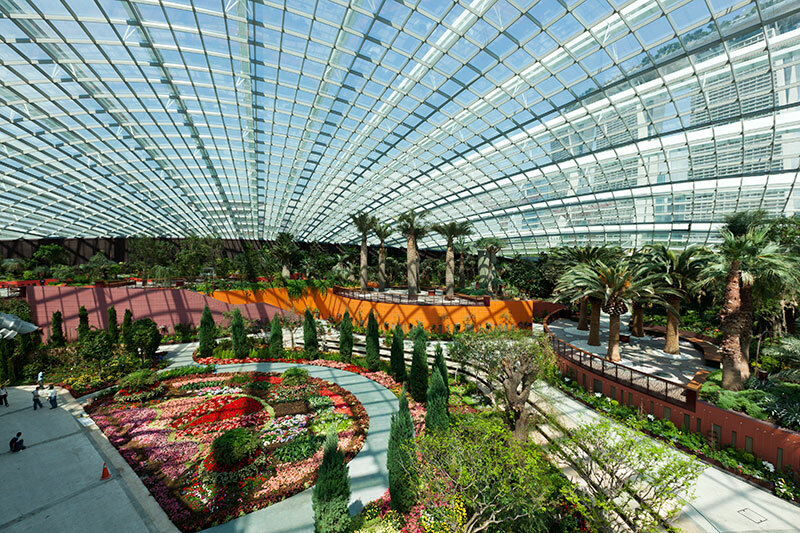 Located on reclaimed land in Singapore’s new downtown at Marina Bay, Gardens by the Bay provides a unique leisure destination for local and international visitors. 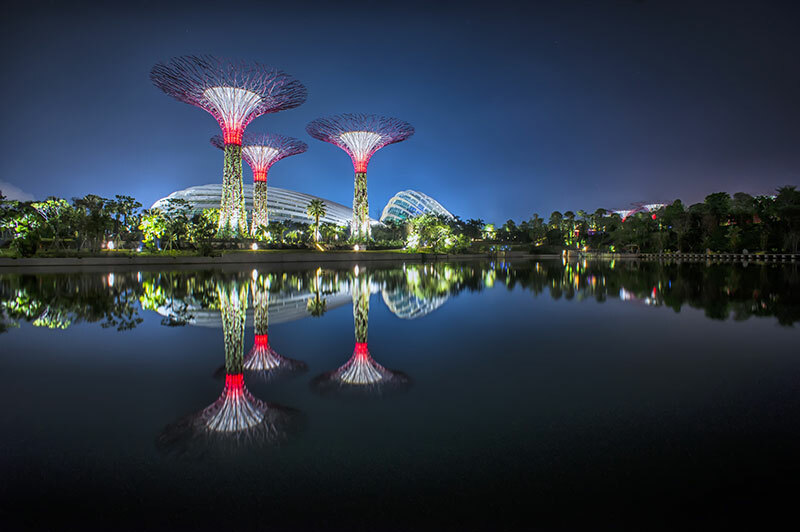 The project is an integral part of Singapore’s “City in a Garden” vision, designed to raise the profile of the city globally whilst showcasing the best of horticulture and garden artistry. 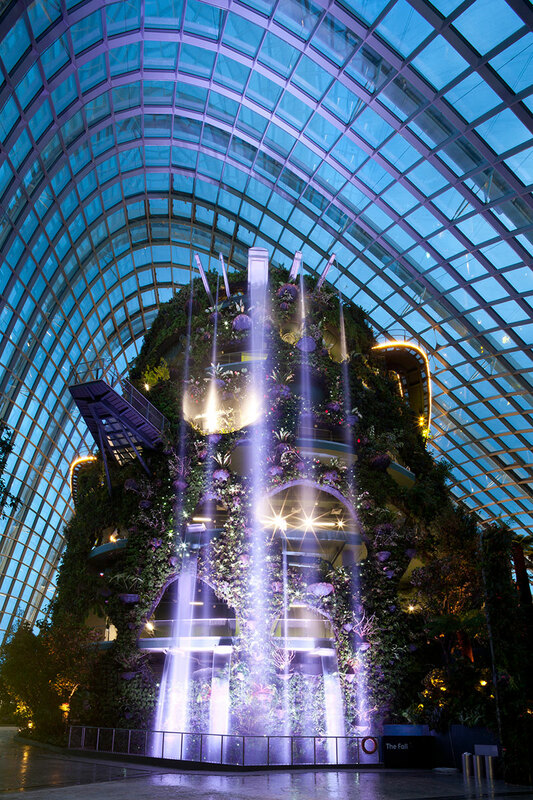 Inside the Gardens, the Flower Dome is the largest glass greenhouse in the world, and the Cloud Forest plays host to the world's tallest indoor waterfall. Following an international design competition, a team led by landscape architecture firm Grant Associates was appointed in 2006 by the National Parks Board of Singapore to masterplan Bay South Garden, the first and largest of the three planned gardens at Gardens by the Bay. Alongside lead designers Grant Associates, the British design team for Bay South includes Wilkinson Eyre (architects); Atelier Ten (environmental design consultants); Atelier One (structural engineers); Land Design Studio (museum and visitor center designers) and Thomas Matthews (communication designers). 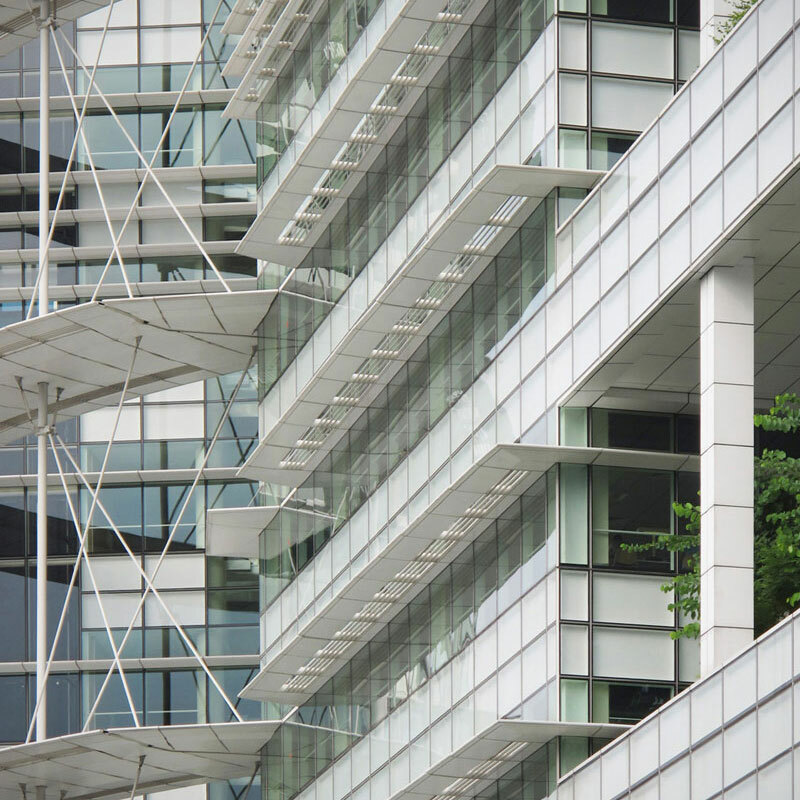 Taking inspiration from the form of the orchid, Grant Associates’ masterplan is a rich fusion of nature, technology and environmental management. Stunning architectural structures are combined with a wide variety of horticultural displays, daily light and sound shows, lakes, forests, event spaces and a host of dining and retail offerings. 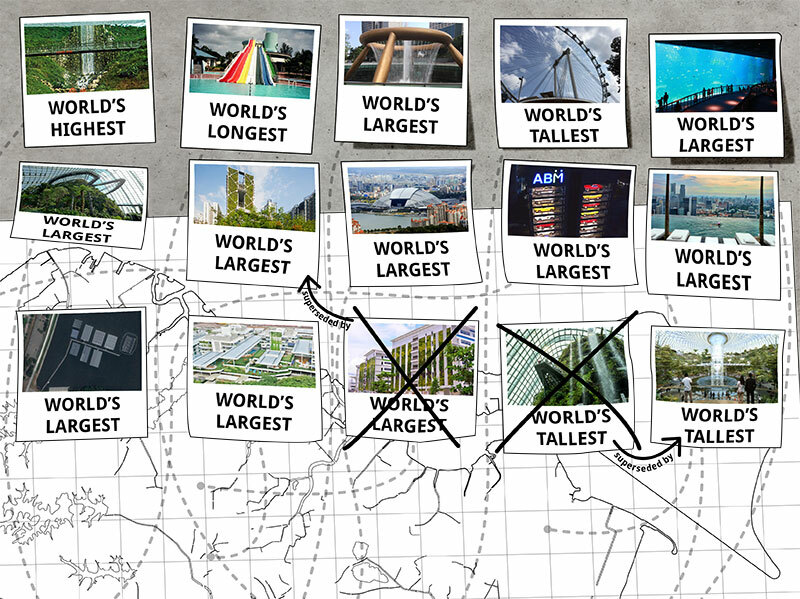 The whole plan has an intelligent environmental infrastructure, allowing endangered plants, which could not normally grow in Singapore to flourish, providing both leisure and education to the nation. Two giant biomes designed by Wilkinson Eyre Architects – the Flower Dome (1.2 hectare) and the Cloud Forest Dome (0.8 hectare) – display plants and flowers from the Mediterranean-type climatic regions and Tropical Montane (Cloud Forest) environments and provide an all-weather “edutainment” space within the Gardens. Between 25 and 50 metres in height, the 18 Supertrees designed by Grant Associates are iconic vertical gardens, with emphasis placed on creating a “wow” factor through the vertical display of tropical flowering climbers, epiphytes and ferns. 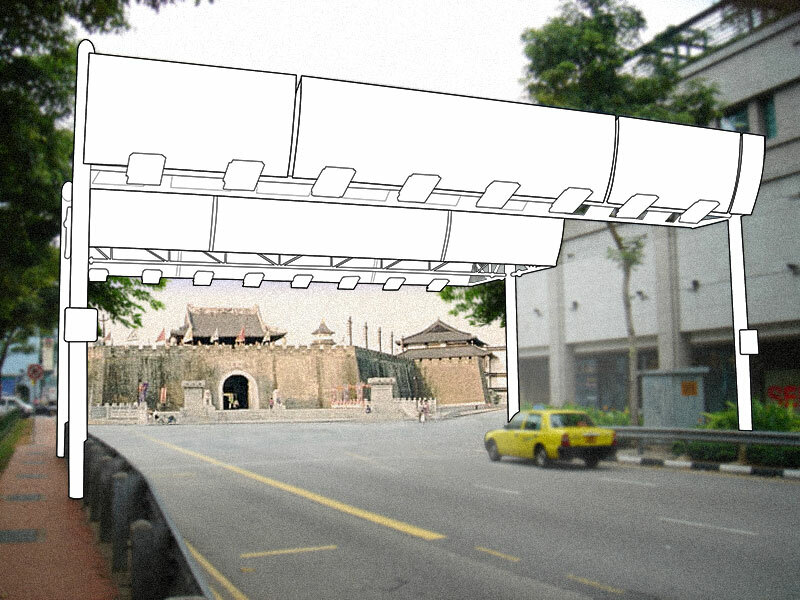 At night, these canopies come alive with lighting and projected media. An aerial walkway suspended from the Supertrees offers visitors a unique perspective on the gardens. 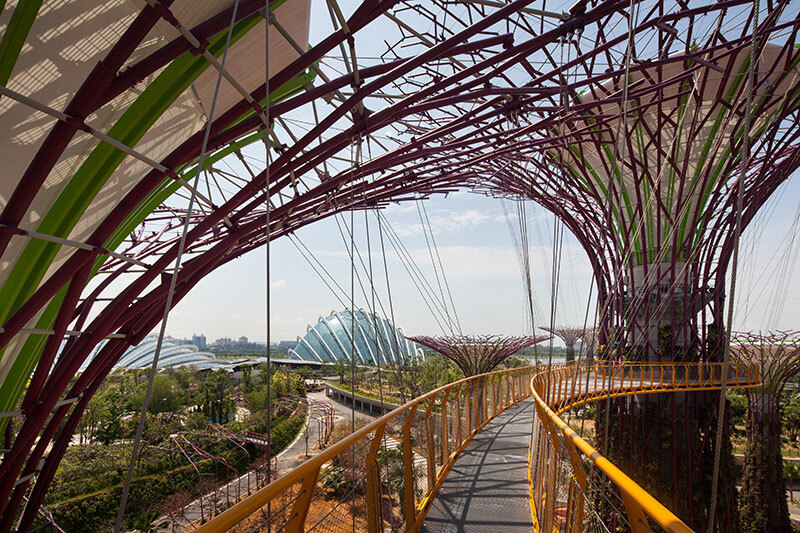 The Supertrees are embedded with sustainable energy and water technologies integral to the cooling of the Cooled Conservatories. 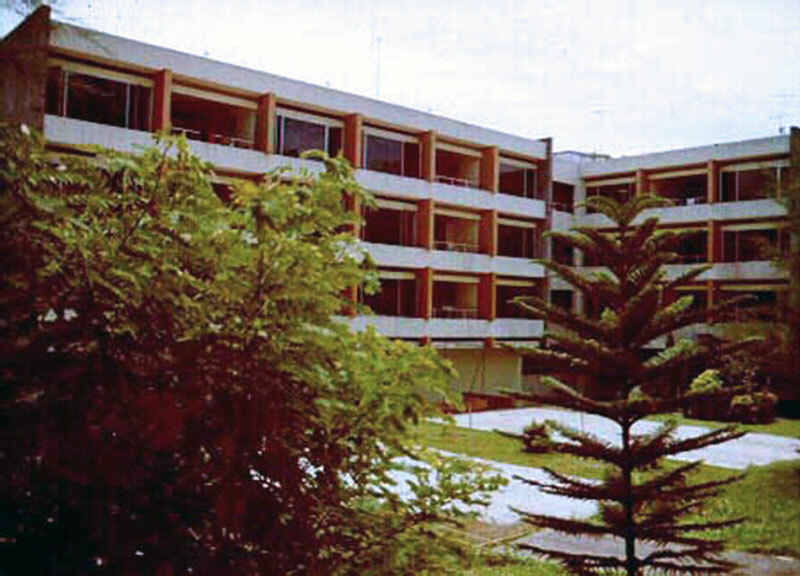 Two collections The Heritage Gardens and The World of Plants centre on ‘Plants and People’ and ‘Plants and Planet’. Together with mass flowering and coloured foliage landscape, they form a spectacle of colour and texture and fragrance within the Gardens, providing a mesmerising experience for visitors. 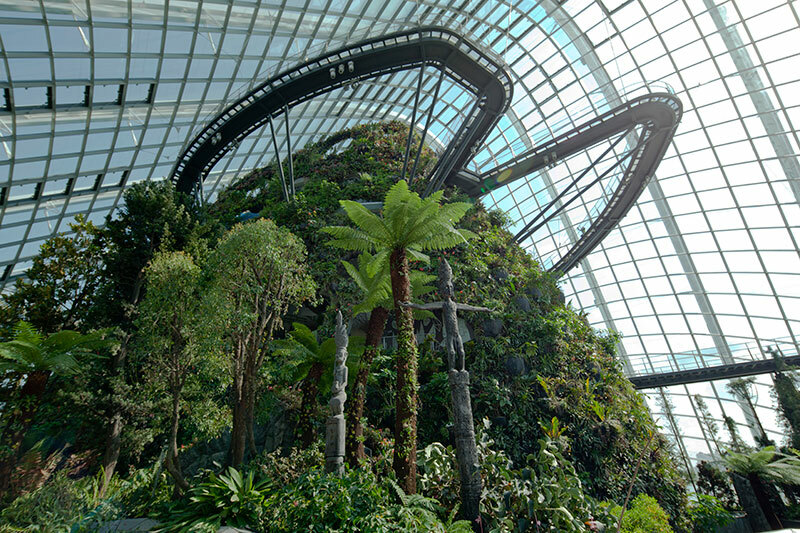 Within its first three months of opening on 29 June 2012, over one million people visited Singapore's Gardens by the Bay. This included the Duke and Duchess of Cambridge's visit to Gardens by the Bay on Wednesday 12 September 2012 as part of their Asia Pacific tour celebrating Queen Elizabeth II's Diamond Jubliee. 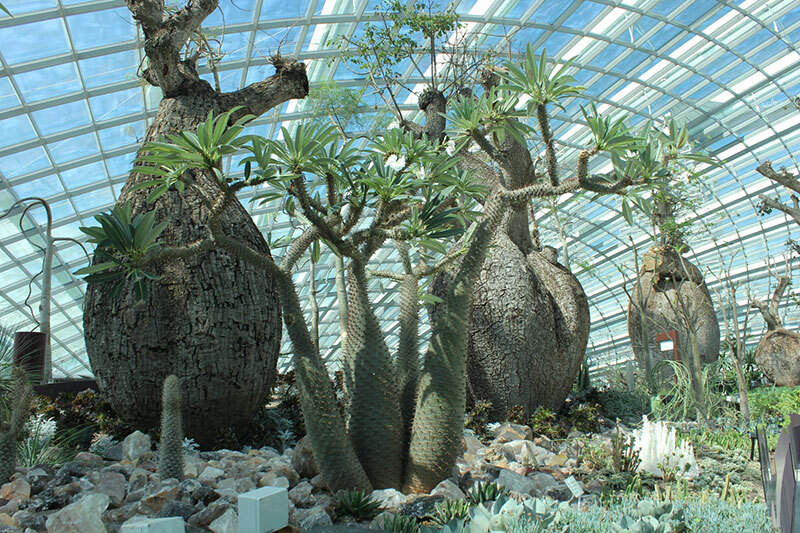 They toured the Cloud Forest Cooled Conservatory, Supertrees Grove, planted a tree and met the design team.